Ackerman Institute Class of 2018 – Congratulations Graduates! The Ackerman Institute for the Family congratulates this year’s graduates of the Clinical Externship program in Family Therapy. This July, thirteen graduates were presented with certificates of completion of Ackerman’s Clinical Externship Program in Family Therapy. 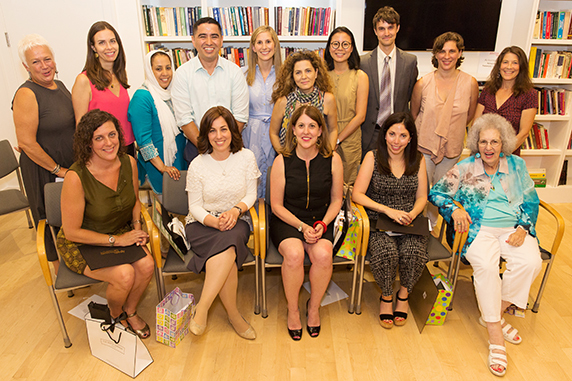 This annual ceremony held at the Ackerman Institute recognizes the work of graduating externs, who after completing an intensive course of post-graduate training, are invited to begin their careers as Ackerman-trained family therapists. Congratulations Class of 2018! View more photos of the graduation ceremony in our Photo Gallery.